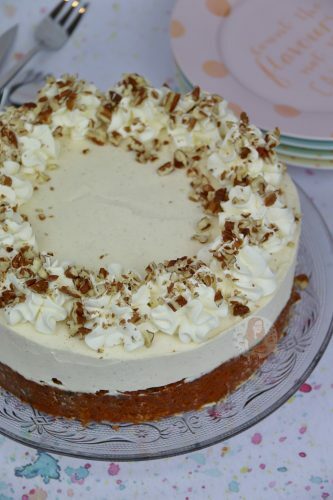 A layer of DELICIOUS Carrot Cake, topped with a creamy DELICIOUS Cheesecake… a Carrot Cake Cheesecake! SO yeah, this happened. And it is EPIC. 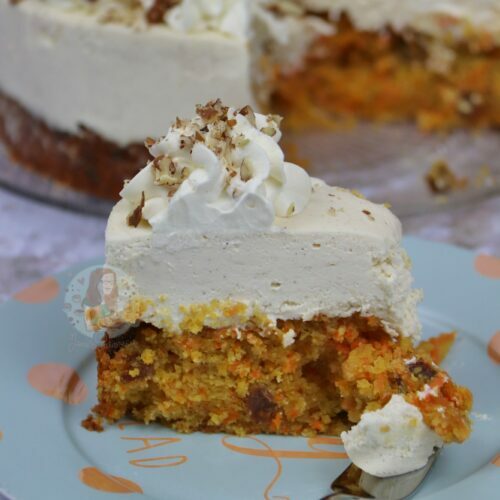 Honestly, I have had such a major Carrot Cake thing recently where its all I really want to eat, and its my favourite cake in general so there are no surprises there really… but adding cheesecake?! Yes please! It’s sort of similar way to adding Cream Cheese Frosting, but a lot more epic. Like, so much more. The Cake recipe is basically half of my actual Carrot Cake, as I adore it so much. 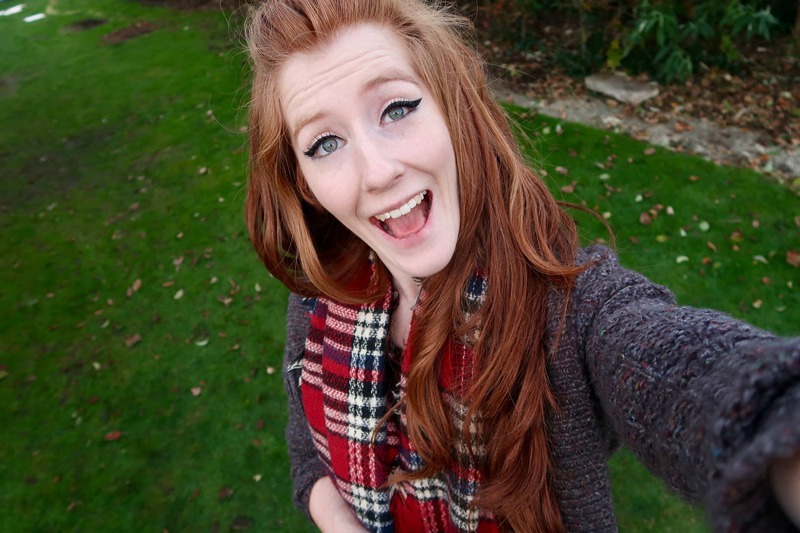 I only needed one layer, hence the halving, but I just adore it. I went for a standard style No-Bake Cheesecake filling, but using the same spices as the Cake itself. 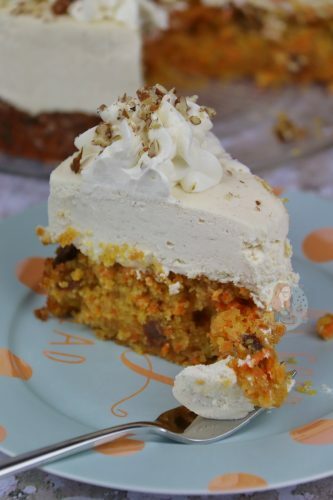 I love the marriage of the flavours (Mixed Spice, Ground Ginger, Ground Cinnamon, and Orange) in the cake and thought how would it work in the cheesecake?! The answer is very well. 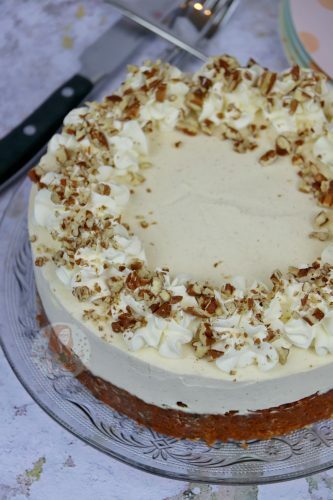 Its different in a way because the cheesecake is naturally sweet using Mascarpone over Cream Cheese (it sets better) and then the double cream, and the icing sugar, but it gives it such a Sweet and Warming flavour. I love the spiciness and warmth of the Cake, but I realise its not for everyone. You can use less or more in the cake, as well as in the cheesecake, but I do think its worth giving it a go as it is to find out your level of spice/flavour. You could even add in some more sweetness if you like with vanilla, but I don’t feel its necessary in this particular dessert. One thing that I don’t have in this particular cake is any nuts, but you can 100% add in some yourself. 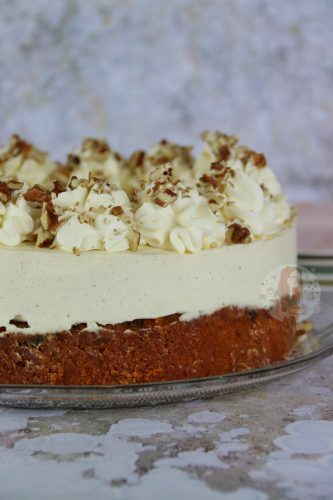 I adore using Pecans and Walnuts with Carrot Cake, but you can add pretty much any you like such as Macadamia nuts, or whatever else! You could add in 100g of either to the sponge before baking, and it would incorporate perfectly. You can also avoid the raisins or sultanas if you aren’t a fan, but I like them! 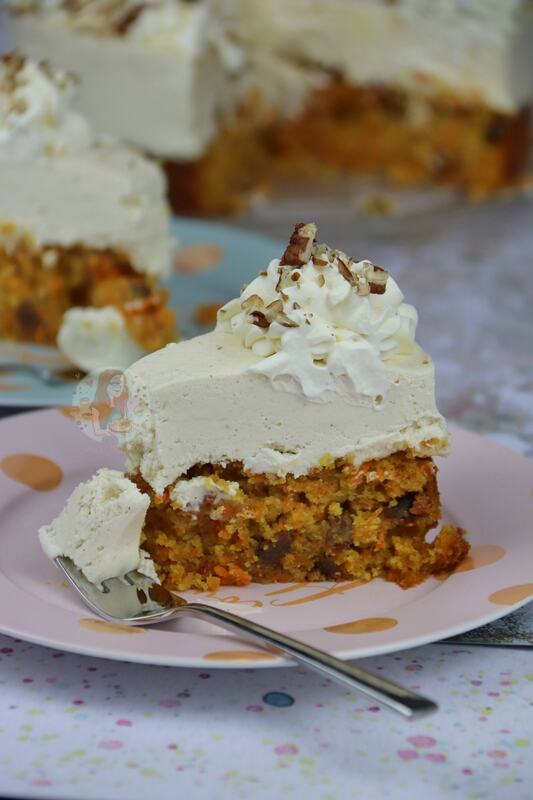 Soft, Delicious and Spicy Carrot Cake topped with Creamy and Delightful Cheesecake! Preheat your oven to 180C/160C Fan and Grease & line one 8"/20cm Cake tin with Parchment Paper! Pour the Sunflower Oil & Eggs into a large bowl and add the sugar – mix lightly and combine. Add the Grated Carrots & Raisins if using, and Orange Extract and fold through to combine. Add the Flour, Bicarbonate, Mixed Spice, Ginger, & Cinnamon and mix again – try not to over mix! Pour the mixture into the prepared tin! Bake the Cakes in the Oven for 30-35 minutes until cooked through (test with a cake tester, should be clean!) and leave to cool in the tin. Once the Cake is FULLY cooled, make your cheesecake filling. Start by adding your Mascarpone, Orange Extract, Mixed Spice, Cinnamon, Ginger, and Icing Sugar into a stand mixer bowl, and whisk till smooth. Whilst mixing slowly, add in your Double Cream, and whisk again till combined and very thick. 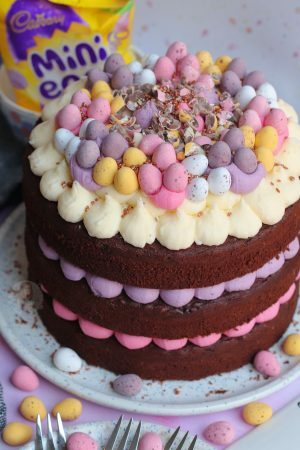 Spread carefully over the Cake, and set in the fridge for 5-6 hours, or preferably over night! Whip up the Double Cream with the Icing Sugar to soft peaks, and pipe on using your favourite piping tip. Sprinkle over some chopped nuts, I use Pecans or Walnuts! This cake does obviously have to be stored in the fridge, as its also a cheesecake. Because its a carrot cake, and *Ihatetousetheword* moist, it will be fine in the fridge. 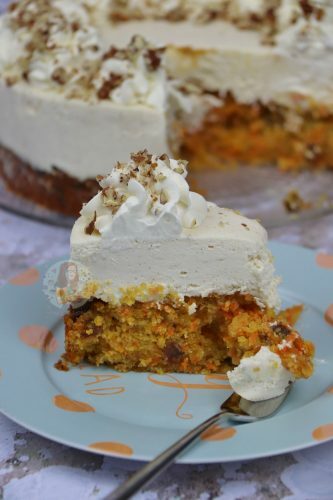 You don't have to use the spices in the cake or the cheesecake, but I adore the flavours, and its part of a Carrot Cake. I use a 2D Closed Star Piping Tip for my cream decoration as its so pretty! Older Next post: Reese’s Peanut Butter Cupcakes! 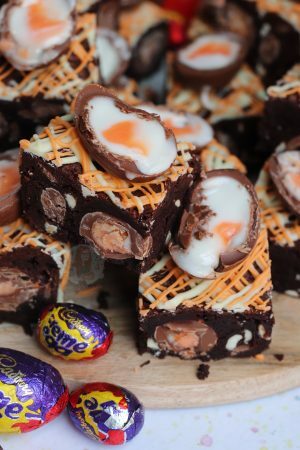 Newer Previous post: Kinder Bueno Rocky Road! 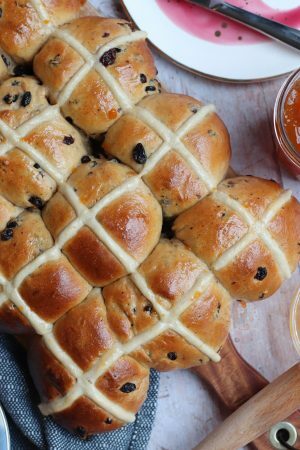 Hi have you ever made this with fresh orange juice/zest Instead of orange extract? Yes! You can use the zest of an orange in the cake, and the juice of half an orange in the cheesecake! I’m not entirely sure… What is a cake pod? 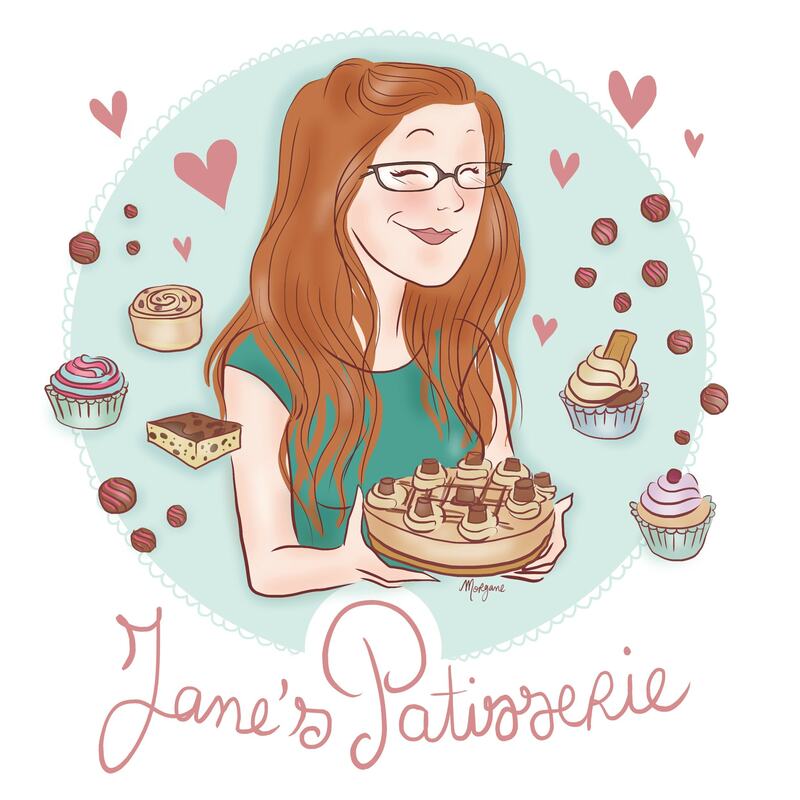 Hey Jane, I love your cheesecake recipes, and am working may way through them with requests from my family! Quick question, is the measurement for the carrots before or after grating please? Thank you! It’s the grated weight. I used mixed spice – its something we have over in the UK. Yep! You must set it fully however first. Thank you! And please do! !